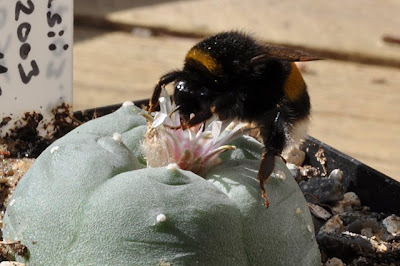 Nice to see the bees visiting your lophophora! Just one worry though - if you're using Imidacloprid to control RSM, there is a risk that the bee may take the pesticide back to the hive. Bees are particularly vulnerable to Imidacloprid. 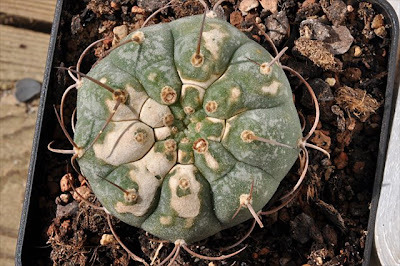 It is said that Acharagma is closely related to Lophophora and that it may be possible for them to interbreed and create hybrid offspring! 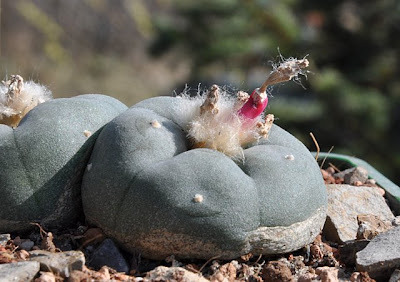 Have you ever tried making a hybrid between Lophophora and anything else? 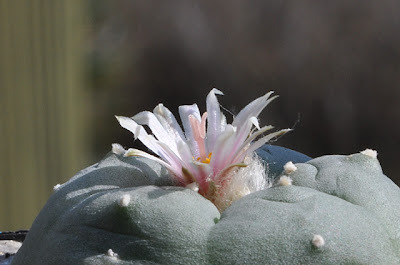 My Acharagma roseana flowered for the first time this spring (and my A. aguirreana are still small seedlings) so I haven't made any controlled experiments yet. I'm planning to, though - the results of Butterworth et al. 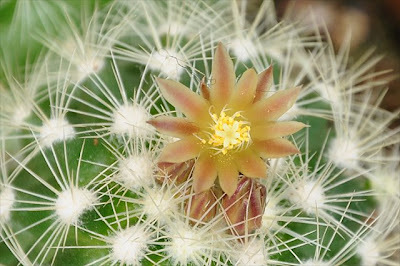 indicate a close relationship between Acharagma, Lophophora and Obregonia so chances are they will crossbreed, as you say. I haven't made any other hybridization attempts either. I have been pondering what constitutes a "safe protocol", i.e. how to minimize the possibility for selfing. I'm imagining protecting the stigma from the stamens with e.g. a plastic straw and then carefully remove the stamens, but suggestions are welcome. 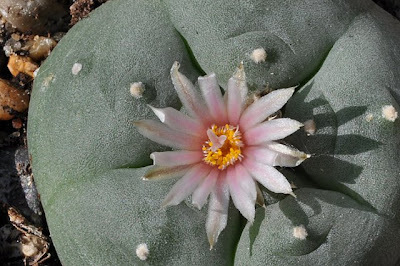 A friend and I pollenated a lophophora williamsii which is self-sterile with an obregonia... About a month later a seedpod popped out containing only 2 seeds, but seeds none the less. Am waiting to see if they germinate at the moment.